Official CW description and preview images for Black Lightning episode 4 titled "Black Jesus"
The CW has released an official description for the fourth episode of Black Lightning which airs on February 6. BACK IN TOWN – Black Lightning (Cress Williams) is recruited to rally against The 100 gang. Anissa (Nafessa Williams) investigates the new drug hitting the streets. Meanwhile, familiar faces begin to reappear. Christine Adams, James Remar, Damon Gupton III and Marvin Jones also star. The episode was written by Pat Charles and directed by Michael Schultz (#104). Original airdate 2/6/2018. 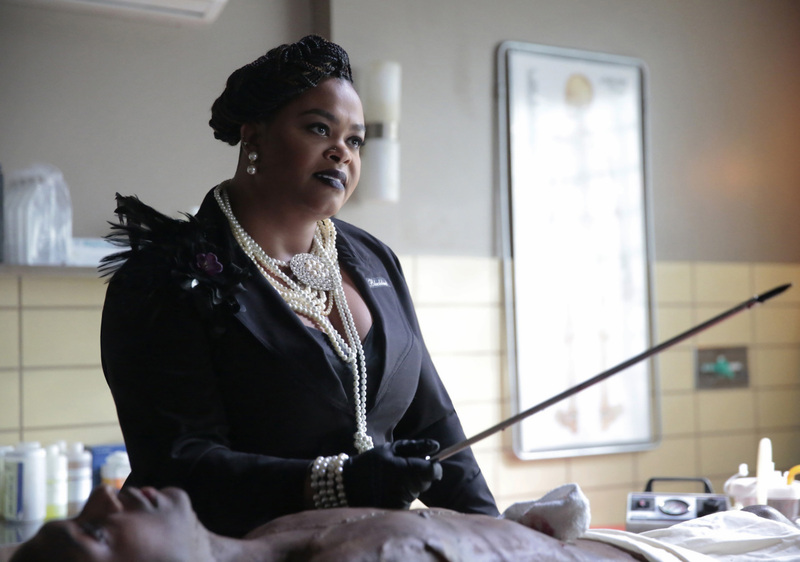 Black Lightning -- "Black Jesus" -- Image BLK104b_0273r.jpg -- Pictured: Jill Scott as Lady Eve -- Photo: Carin Baer/The CW -- ÃÂ© 2018 The CW Network, LLC. All rights reserved.